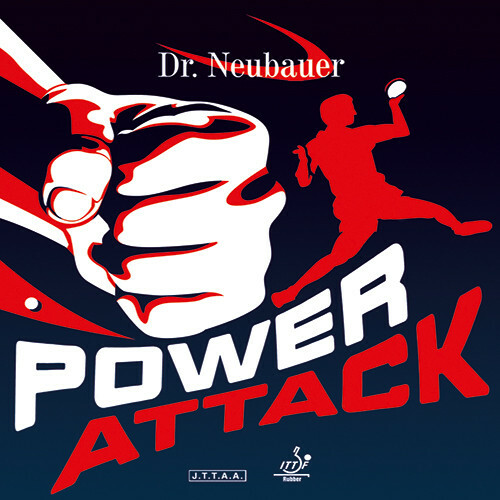 POWER ATTACK is a new type of Anti-Spin rubber that not only provides the effectiveness of a completely frictionless surface but also allows for highly interesting attacking possibilities. The rubber produces good spin reversal while blocking against topspin even though it does not quite reach the disruptive effect of our latest Anti-Spin rubbers BUFFALO or BISON. The frictionless surface is also a great help for service returning since it neutralises any spin. Furthermore as opposed to all other Anti-Spin rubbers with frictionless surface POWER ATTACK enables to put pressure on your opponent through active counter-attacking. This way the rubber allows for both disruptive blocking and active counter-attacking and hitting. The best compromise between disruptive effect, speed and control is being obtained with 1.5 mm. The versions with 1.8 and 2.0 mm sponge are faster. Dr. Neubauer Rubber Power Attack is beeing added to cart.